ot since the strangled crooning of “Sonic Heroes, Sonic Her-o-oooooooeeessssss!” rang around my living room have I even been remotely interested in most 3D Sonic titles. In fact, other than the novelty of playing Sonic Heroes with the kids, I could pretty much skip every 3D iteration of the game. Looking at early footage of Sonic Forces, and getting a chance to play a smattering of levels back in September, my hopes were low that this would be the 3D Sonic title to change my mind on this. Thankfully, we can all be surprised from time to time. Sonic Forces mashes the look and controls of old and new Sonic into one game. Here you can play the super fast paces 3D sections of the game as both “New Sonic” and as a character of your own creation using the new in-game creation tools. Surprisingly there is a good degree of freedom to make this avatar your own as you constantly unlock wearable items with every completed level (of which there are just over 20) of the game. There might be an initial feeling of limitation as you have only a handful of body, hair and species (Hedgehog, Wolf etc) to choose from but these unlocks help ease that as you progress. The story is the worst kind of lame Sonic cartoon fayre. Eggman has finally succeeded in defeating Sonic and his pals. 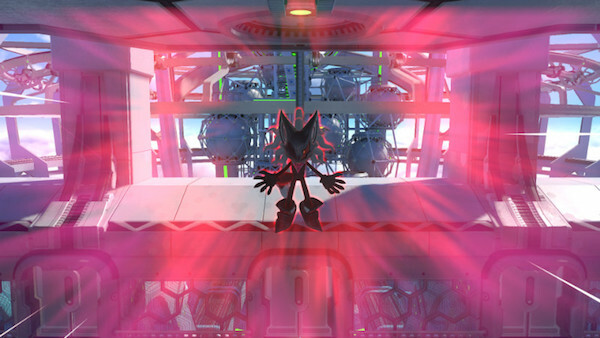 He rapidly takes over the world as Sonic team slowly falls apart with their leader feared dead. Old Sonic slips through a time portal and arrives on the scene and he and Tails start looking for a way to defeat Eggman and his newest creation Infinite. 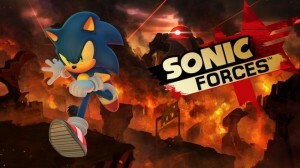 Whilst this is going on your new character has been recruited by the rest of New Sonic’s team to help them take on Eggman and rescue Sonic from Eggman before he’s killed. So there you have it… Three different ways to play that are all similar, yet different in a few areas. 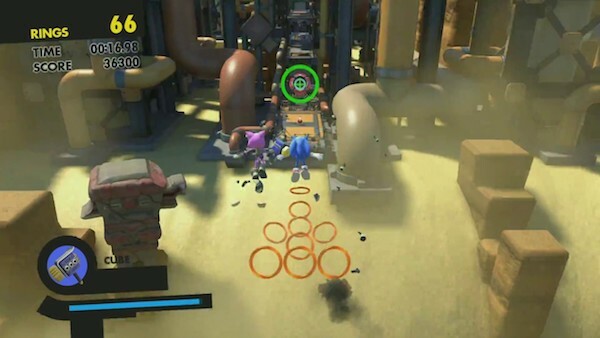 For instance New Sonic is much faster and has the homing attacks that you execute by pressing the jump button when a green reticle appears on an item or foe. 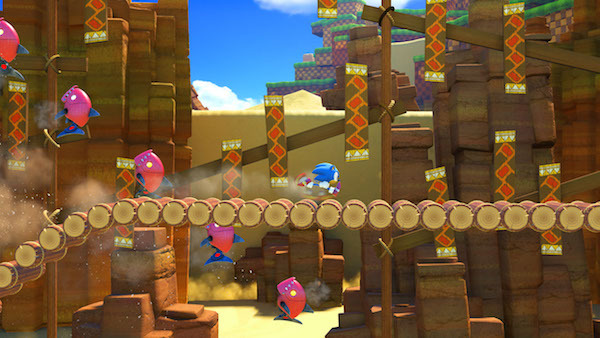 Old Sonic controls similar to the original Sonic titles with a slower pace, more level paths to explore and no homing functions. 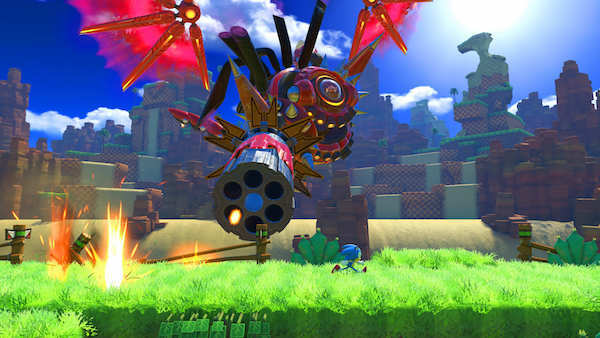 Finally your custom character controls much like New Sonic but also has a WISPA weapon that allows contextual action (like a swing shot for example) or can be used as a weapon, for example a flamethrower or electric gun to take on enemies. All three control much better here than they did in the preview build I looked at in September where action felt spongy and unresponsive. Control is mostly crisp and responsive and the frame rate keeps up a blistering 60fps throughout. The only niggles are that Old Sonic doesn’t have the inertia and weight he probably should have (if you play it next to Sonic Mania or original Megadrive Sonic you can tell) but still manages to just about scrape a pass. The other issues come in the form of well know Sonic problems. Frustrating disruptions to flow caused by some sub-par level design or bad foreshadowing of an obstacle or enemy. Frustrating platform areas that require a certain turn of speed that can cause you to have to crouch and spin a few times to overcome. Water. Graphically the game looks great. Bright bold colours throughout. 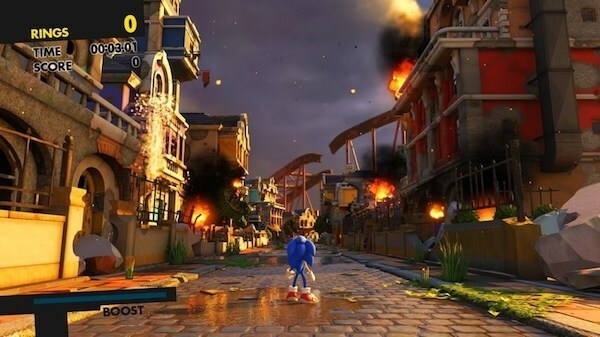 Wonderful reinvention of well known zones like Green Hill Zone look great, modernised but still true to their original design ethos. As mentioned the game can really shift and the Hedgehog Engine 2 manages to keep things moving at a very smooth pace. This is on both the PS4 and PS4 Pro. The Pro doesn’t appear to add anything startling to the mix. Sounds are as expected for this type of game with the well known series tones (rings, extra lives etc) all in place. Voice acting is top notch, but obviously the script is all kinds of Saturday morning TV. Musically the game has some great new tracks as well as some tasteful reworkings of original pieces as well. So this looks, sounds and feels like a Sonic title in 3D, so what gives? Well Sega seem to have managed to balance the levels and play far better than in previous iterations. Where the game is a little simple (you have Normal and Hard modes with Hard being the default!) and maybe doesn’t require a lot of skill to overcome it you do get an enormous feeling of fun at just playing through the stages. It’s not clever, or steeped in depth. And even though the 20+ stages will probably only take you about four hours to get through there are plenty of extra side missions (just rerunning previous levels with specific characters etc) there are loads of items to unlock and each level gives you a ranking and leaderboard position. Sonic Forces has surprised me. It’s surprised me in the way it just gets on with what it does and it does it pretty darn well. It’s not the best Sonic game this year but that doesn’t make it a bad Sonic game – or indeed a bad game at all. It’s fast, bright, colourful, sounds great and plays well. It gives you several hours of honest gaming fun that you can practically disengage too. I found it a great stress reliever; a game that is happy just being a game and not needing to thrown twenty systems at you and drag things out for 20 hours. Many people will bag on Sonic Forces because it’s not Sonic Mania. Others will do so just because it’s become traditional to talk Sonic games down and nobody wants to pop their head above the ledge. To disregard a game because of these things is churlish at best and most, given the chance, would likely really enjoy Sonic Forces. 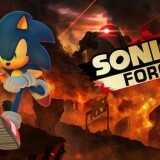 As a non-believer in the benefits of a 3D Sonic title Sonic Force has managed to upend my preconceptions (also based on a spongy preview play too!) and given me many hours of fun filled game play – what more can you really ask than that?